The options for PM exam prep are endless and can quickly seem overwhelming when searching for the right program to fit your needs. However, one in particular stands out: PM Prepcast! The PM Prepcast touts itself as the most popular PMP® video training course, and we have no trouble believing it. The course is used by over nearly 50,000 project managers in over 55 countries and many users further their education with additional training materials available for different certifications after their initial success with the PM Prepcast. The 35-hour video training course is offered by OSP International LLC, a leader in Project Management exam and prep courses. OSP International LLC was founded in 2006, with a mission to “Empower project managers and Agile practitioners to advance their careers through superior multi-media training.” Their founder, Cornelius Fichtner, is a registered PMP with 20 years of experience over many industries. 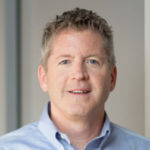 He formerly served as a Project Management Institute (PMI®) Chapter President, but has since moved on to become a founding member of PMI’s New Media Council and Social Media Advisory Group. He and his company at OSP International are a Registered Education Provider (R.E.P®) through the Project Management Institute. Therefore, the programs through OSP International, including the PM Prepcast, are accredited through the PMI®. Furthermore, the PM Prepcast seeks to cut through the drudgery of brick-and-mortar PMP training courses with ‘busy work’ to deliver remote-friendly video options. A major advantage of the PM Prepcast is that it’s conducted completely over video. The video courses are accessible from anywhere: desktop, laptop, tablet or mobile phone. The course is taught over 50 hours of webinars and easy-to understand videos that you can brush up on anywhere and at anytime. In fact, this is where the course gets its name. The minds behind the PM Prepcast understand that project managers are often on the go, so all video lessons can be downloaded to your mobile phone and listened to like a podcast as you study, go to the gym, cook, or drive in the car. Don’t worry about accidentally missing any lessons either; the Learning Management System (LMS) tracks which lessons you’ve visited or skipped over on a progress bar. You can even move backward or forward in your study schedule to revisit lessons at any time. 35 Contact Hours of Project Management education is required to sit for the Project Management Professional (PMP) exam. By opting to take the PM PrepCast instead of a traditional class or training, you can earn your 35 hours of education on your own time. This is a convenient for PMPs who aren’t located near accredited instructors, courses, or institutions. Plus, you can learn at your own pace to really retain the lessons instead of having to follow an educational structure set by someone else. If any feature of the PM PrepCast was to set it apart from other offerings, the realistic PM Exam Simulator™ would be it. The simulator gives you an “insider’s view’ of what the exam is like. Included in this simulator are 1600+ highly realistic exam questions based off of the most recent version of the PMP exam. The simulator is closely modeled after actual testing conditions so that the chances of being struck by testing anxiety when sitting for the atual exam are significantly lessened. Included in the PrepCast package is 90 days of access to the simulator. Logging in is incredibly easy and the simulator is accessible from anywhere on any web browser. Once inside, you can take any of 8 complete exams in a simulated environment that closely matches actual exam testing conditions. After answering each question, the simulator will explain in detail any questions you go wrong in a side-by-side screen to help you actively learn from your mistakes. The pricing structure behind PM PrepCast is simple. Instead of a subscription model, the program costs a one-time fee of $299. This amount unlocks the complete video course content, the exam simulator for 90 days, and free forum access and email support in case of questions. Although the Exam Simulator is only available for 90 days, you can purchase just the simulator for $139. Even though the other parts of the PrepCast package won’t be included, this is still an ideal choice if you feel you need just a little bit more practice before sitting for the actual exam. Like we mentioned before, project managers are busy and often on the go. So we’ve put together a list of pros and cons to help you decide if the PM PrepCast is right for you without taking too much of your valuable time! Pro – Flexibility: Not having to sit in a classroom or do ‘busy work’ is a major pro of this program. Because it’s purely web-based, you can go at your own pace and move as quickly (or as slowly) as you’d like. Furthermore, you can study project management anywhere with a WiFi connection. This could be from your living room couch, or poolside in Cancun! Pro – Support: Not only do the makers of PM PrepCast make this program as accessible as possible by using everyday English and clearly explaining why your answers were wrong, they also offer a ton of support for users. If you need text to refer to, a free email course is also included as well as access to a forum where you can speak with support and other program users. Pro – Exam Simulator: The Exam Simulator is a definite pro. With 1600+ exam questions and 8 full exams to take in lifelike PMP exam conditions, this is an ideal way to get used to the kind of test questions that will show up on the exam, and how the test is delivered. This can ease major anxiety for first-time test takers and help relaxation and focus when it counts. Con – Productivity: This con really isn’t on the PM PrepCast specifically, but is true for any remote or web-based training course. When independent study is needed, it’s on the user to remember to study and work through the content in a timely fashion. If you aren’t the type of learner who can stay on schedule when not being led or held accountable, this may not be for you. Q: Is there a way to know when I’m ready to take the actual exam? A: Knowing when you’re ready to sit for the PMP exam is largely based on personal experience and differs from person to person. However, if you get between 75-80% on the series of practice exams, you have a much higher rate of success on the real thing. In fact, some successful students of PrepCast’s forum have reported that the PMP exam is easier than the simulator! Q: Can the PM PrepCast be used to earn PDUs? A: Yes! Even if you’ve already passed the PMP, you can use the PM PrepCast to earn the necessary 60 PDUs every three years for your certification renewals. The program covers the required 8 PDUs in the areas of Leadership, Technical and Strategy & Business. Q: If the program isn’t what I was expecting, can I get my money back? A: Within 90 days of enrollment you can receive a full refund, no questions asked. Are you still on the fence? Here are some quick tips that may help you decide if the PM PrepCast will work for you and your goals. If you learn best from listening to podcasts and audio materials, this is the course for you. If you need recertification and to fill 60 PDUs, this is the course for you. If you feel more prepared for tests by taking practice quizzes and exams, this is the course for you. If you require an instructor to structure your lessons and keep you on track, this isn’t the course for you. PM PrepCast is one of the best offerings for PMP exam practice on the market today. The program is a relatively low cost that is comparable to PMP education offered by the Project Management Institute (PMI) itself. Furthermore, the materials are easy to understand and designed by experienced project managers. One of the biggest draws to this program is its accessibility. Quite a few other programs are plagued by lack of mobile access or complicated logins, but the PrepCast is accessible from any device that can reach a web browser. Futhermore, the PrepCast can also be used for practicing Project Management Professionals who are planning for recertification. Completion of the program automatically earns a certificate for 60 PDUs, enabling PMPs to sit for their recertification exam. All in all, the PrepCast is comprehensive, supportive, easy to use and access and has an affordable price point. This makes the PM PrepCast a major advantage when seeking to CRUSH the PM Exam!